Mimi Marie~: Peace or Chaos ~ the Perspective is Yours. Peace or Chaos ~ the Perspective is Yours. Perspective is always a hot topic for me. I am in a constant exercise of keeping the right perspective on my life and my goals. There was a period of time a couple of years ago where I was doing way too much. It was typical of me to get overwhelmed very easily and make life miserable for everyone around me. While it's clear to me now why, back then it was just a vicious cycle of stress that I couldn't get to the bottom of. I believed that I had to DO everything and always be perfect, or life was never going to be great. The problem was that nothing was working out, I was never happy and much of my life was falling apart. Since then, I have learned there is a paradoxical magic in learning to say no and balancing my work load, and believing that we're all capable of much more than we usually allow ourselves. How is that possible? What has to change to create more balance and peace in your life? Your perspective. Your view. Now, don't get me wrong. I'm not trying to say that it's an easy feat. But when you can alter your view and see the bigger picture rather than getting stuck inside of one seemingly stressful circumstance, then the level of stress that you have to experience becomes less. Sometimes I freak out, stress out, break down, cry for stupid reasons, but at the end of the day I can look in the mirror and know that I'm moving forward on my path. I can allow myself to ride the roller coaster of life and know that it isn't the end of the ride just because it gets bumpy. Now, I intentionally set up my life so that I can reach goals, follow my dreams, build a career, be a positive example for my kids and a loving, supportive partner to man. If I am actually going to fulfill on all of those things, then keeping the right perspective is key. Stress really is ALL about perspective. The ONLY time you are ever incapable is when you SAY that are! You can be negatively impacted by a long list of things to do; you can be stopped in life because you don't like the way things are going. 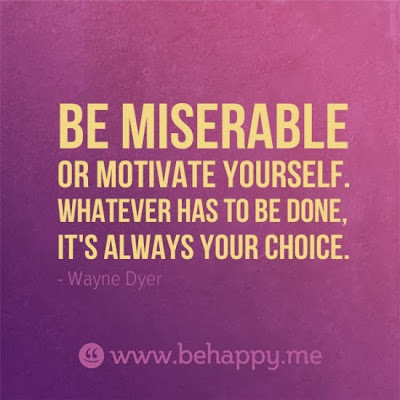 Or you can be thankful that you're the one to get the job(s) done; thankful that you have a life that is full and plentiful, and that you have the ability to reach great accomplishments; thankful that you have the power to change things that you don't like and that you really are the one in control of your destiny. 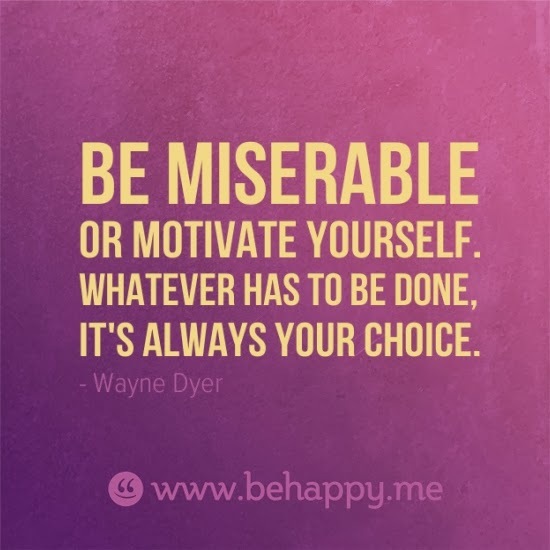 It really is a choice - choose wisely! !